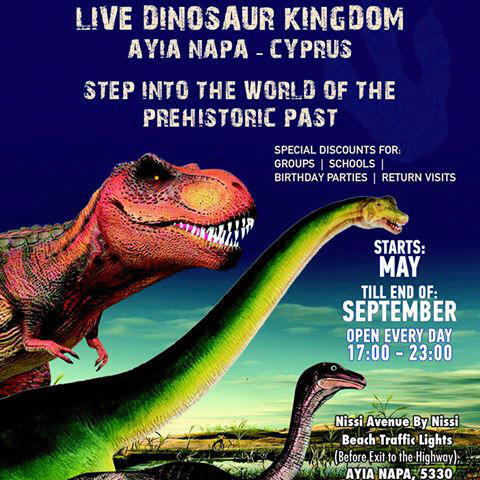 Brand new in 2016, Dinoland is a family attraction in Ayia Napa which will appeal to small children. 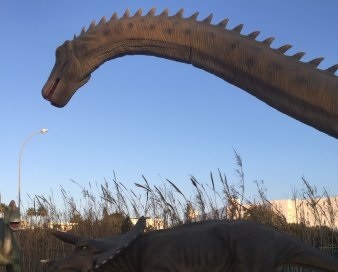 The small park is located close to Nissi Beach (at the traffic lights) and features some great animatronics which will delight dinosaur fans. 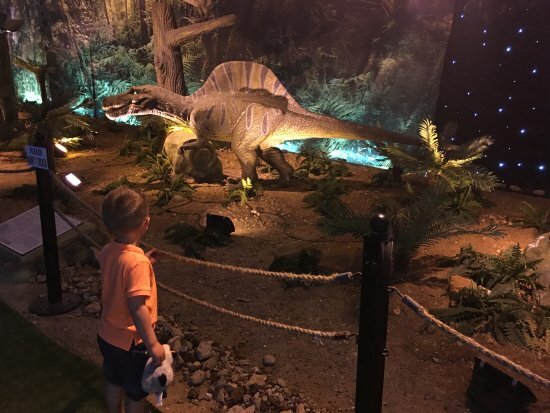 The dinosaur models move and make noise and there are numerous information boards giving details about the different dinosaurs. 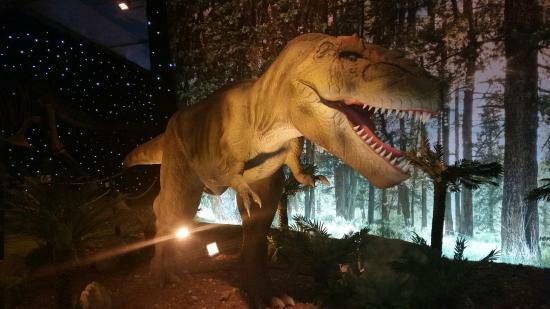 The park also has a small and and souvenir shop and offers the opportunity to sit on one of the dinosaurs for a photo.